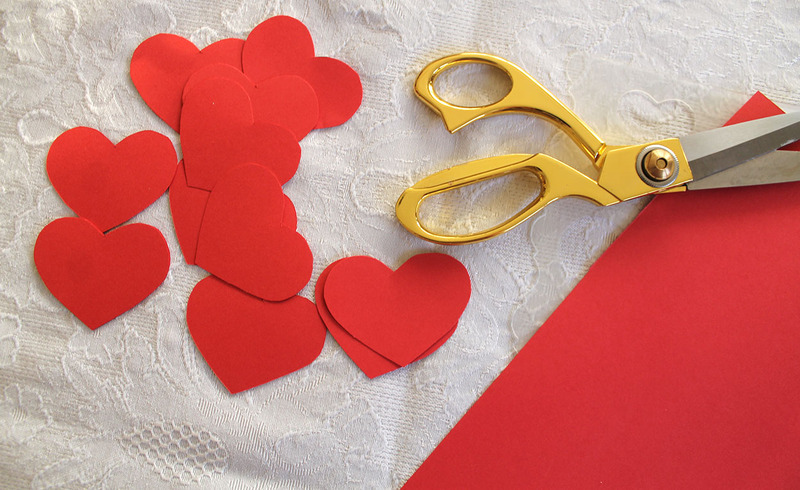 You all know how much I love to decorate for the various holidays…so I’ve started to festoon our home for Valentine’s Day. Because it is such a short time period for these decorations to be on display, I don’t like to go overboard. 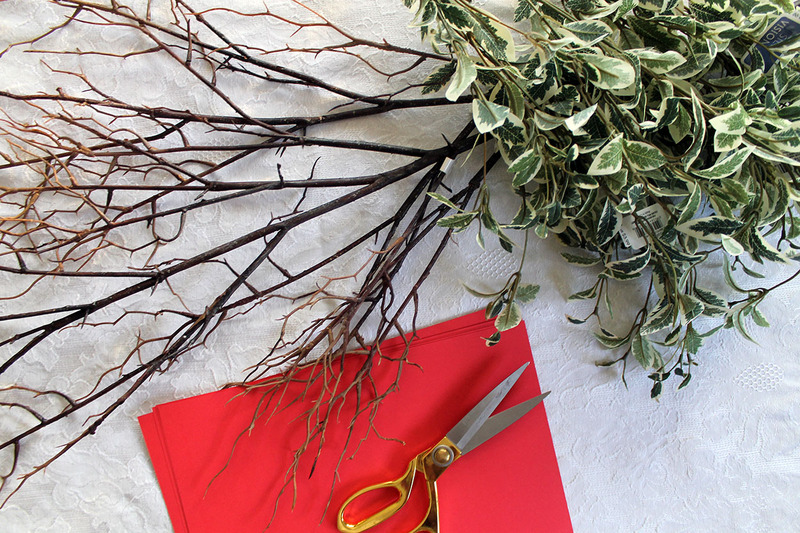 This simple centerpiece of red heart branches is perfect! 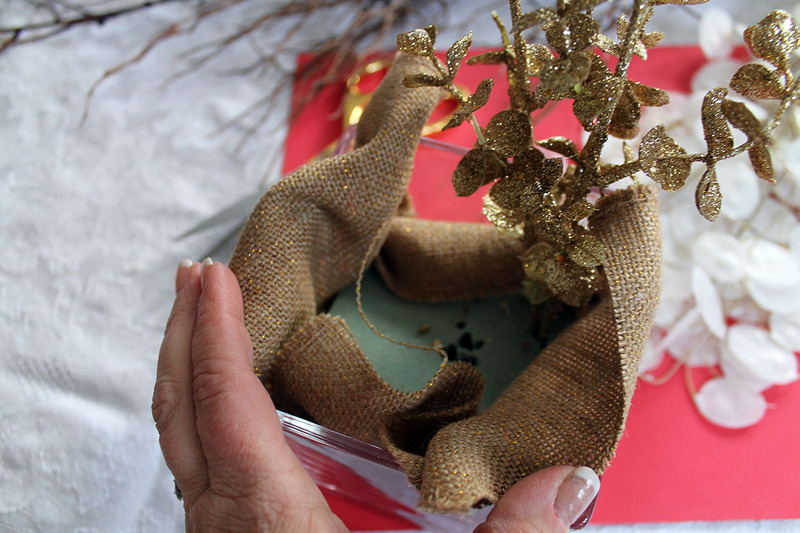 I started with these square glass containers that I used for our Christmas centerpieces. They already had the floral foam in them, as well as some metallic gold filler. 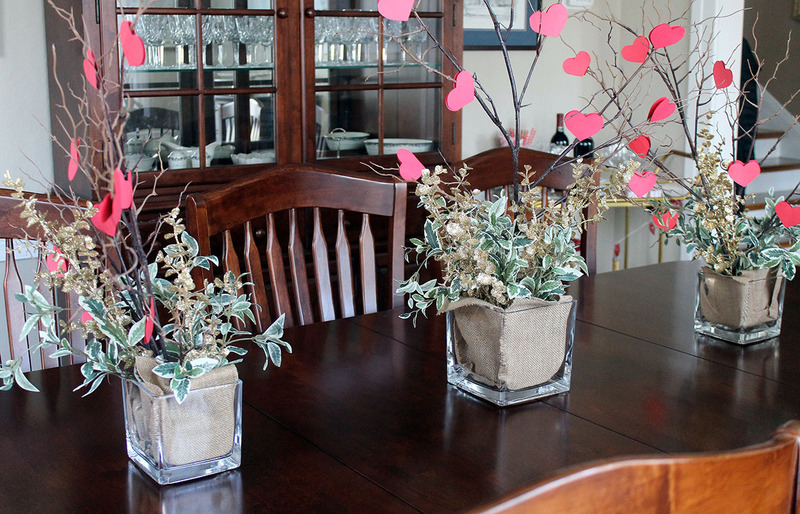 I just added some simple supplies…faux tree branches, silk greenery, and red card stock…to transition these centerpieces to Valentine’s Day. 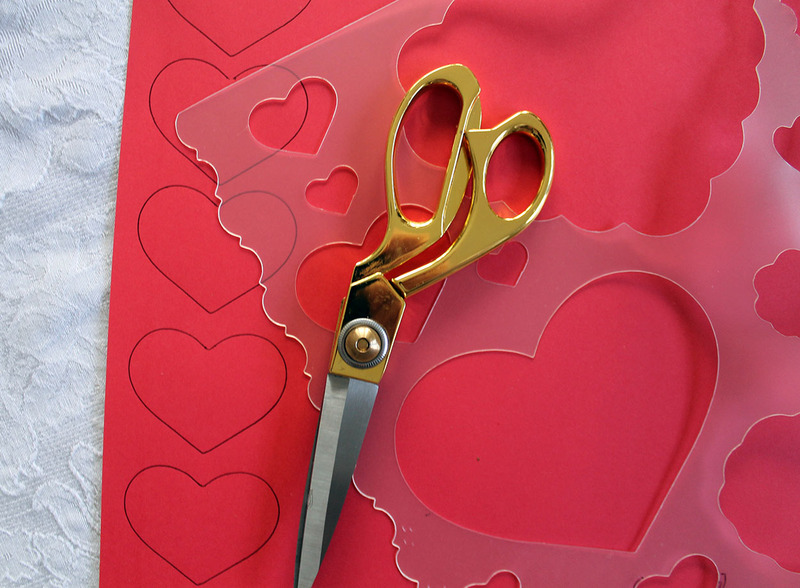 I started by cutting out hearts using the red card stock and a stencil. 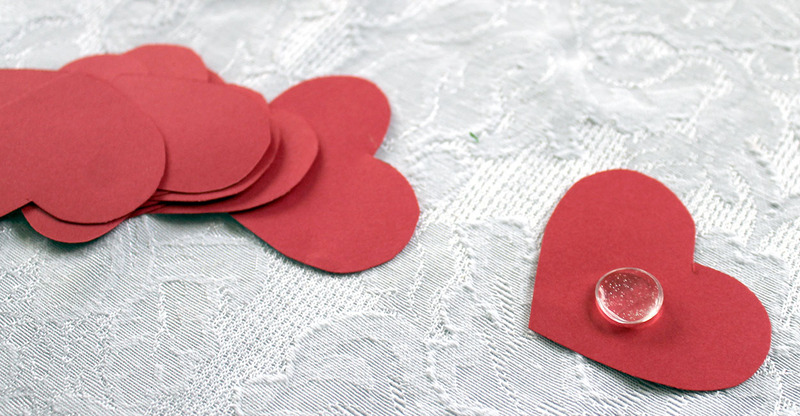 Lots of hearts! 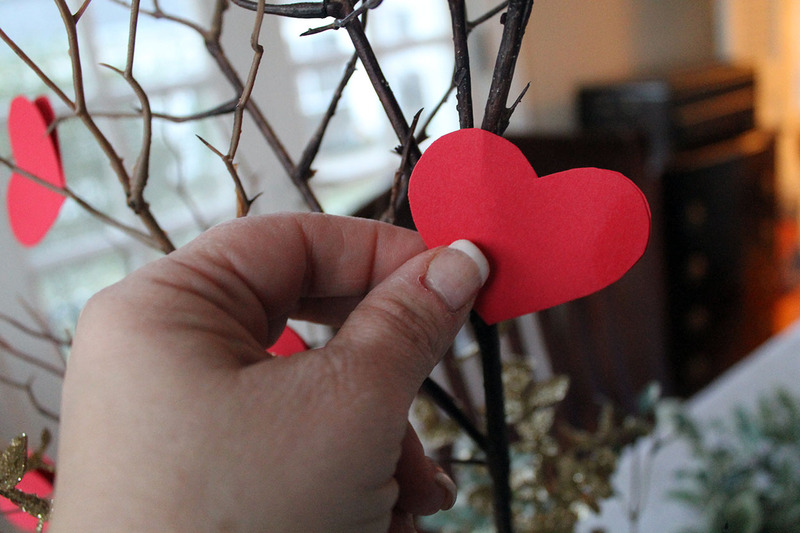 After placing the branches in the foam, I started adhering the hearts to them. 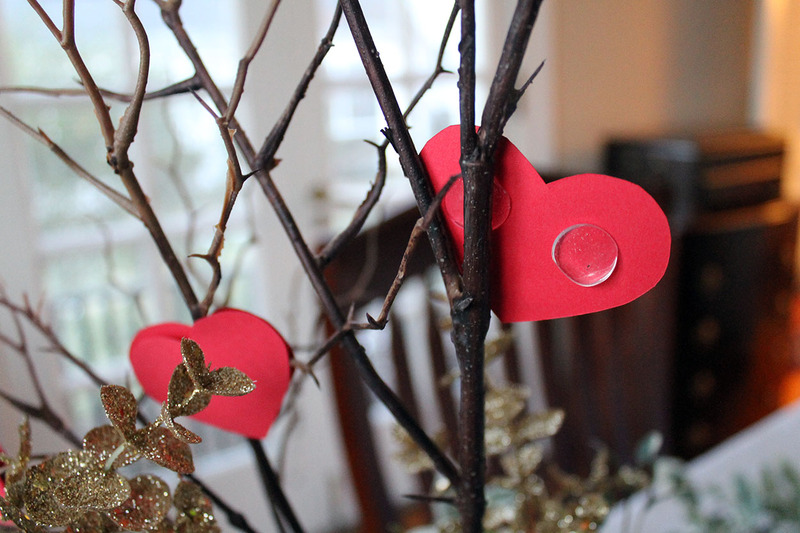 I used glue dots to make sure they stuck to each other and the branches. 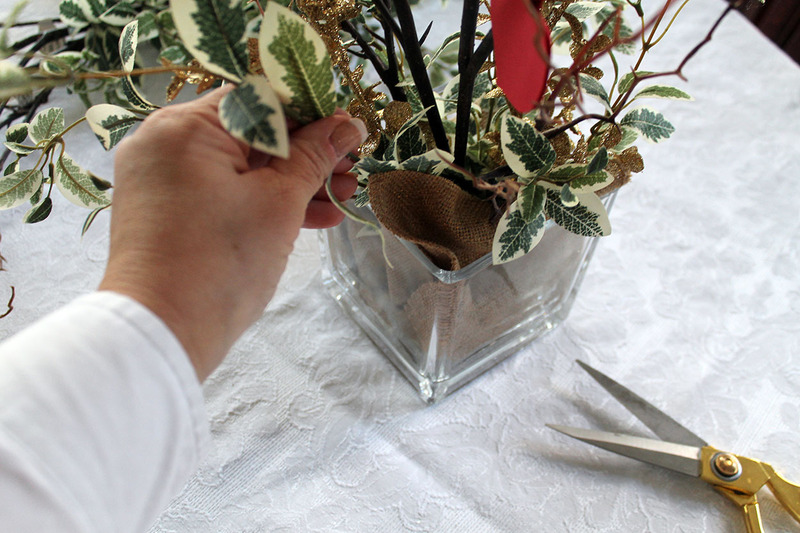 I finished the centerpiece by filling in the open spaces with silk ivy plants. 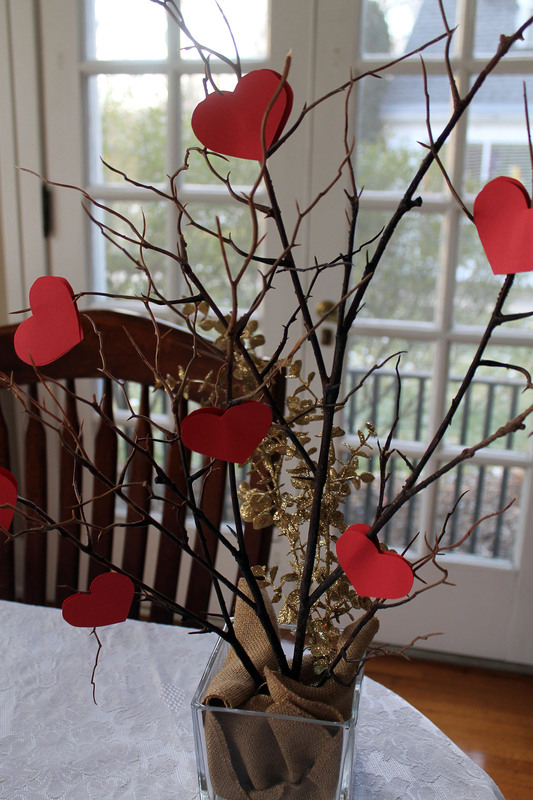 I love the pop of red hearts on the branches…so festive! 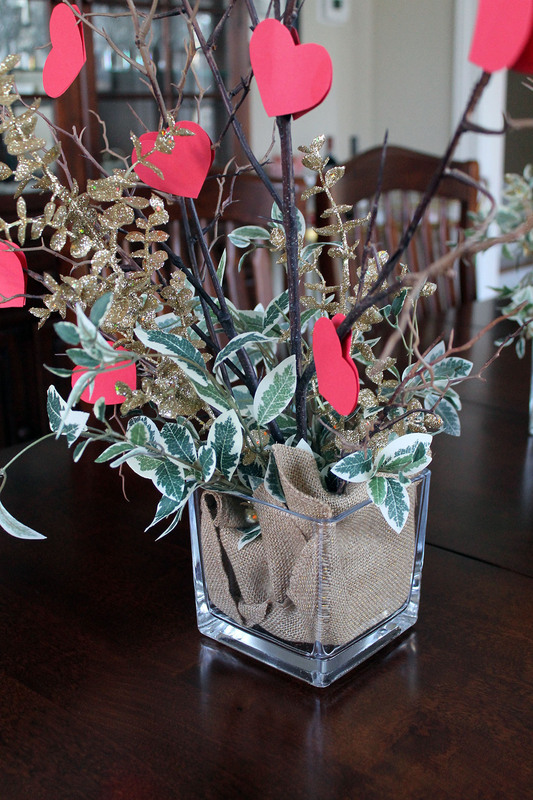 And so easy to change…I’m thinking green shamrocks for St. Patrick’s Day!! !